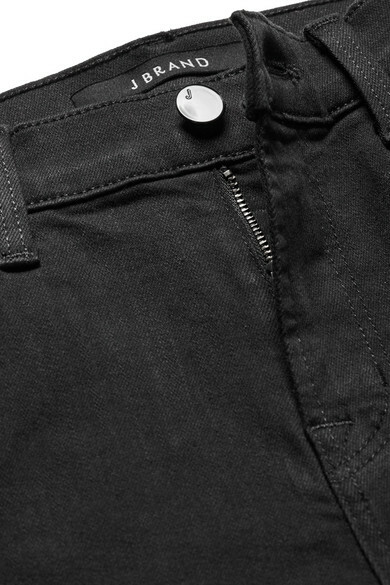 J Brand's 'Alana' black jeans are washed in the darkest dye the label offers and are fade-resistant so you can wear them for ages. 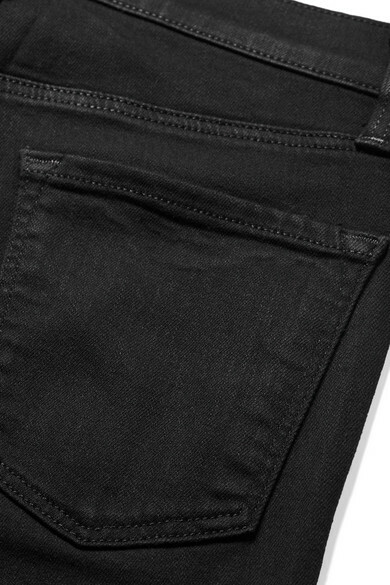 This high-rise pair is cut from denim that's woven with a bit of stretch for a flattering fit and has a skinny leg that falls to a cropped length. 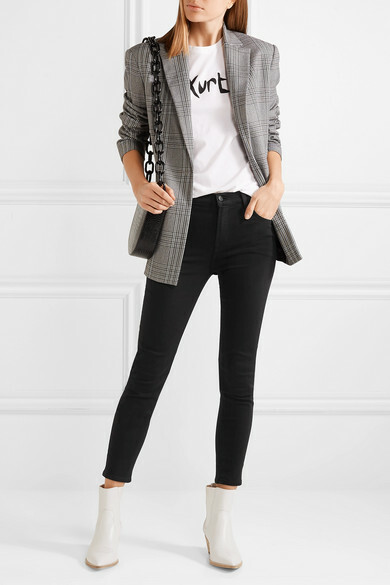 Team yours with a blazer, T-shirt and ankle boots. Shown here with: Bella Freud T-shirt, Maje Blazer, Gu_de Shoulder bag, Gianvito Rossi Ankle boots.